I have small doubt in this life time policy update. 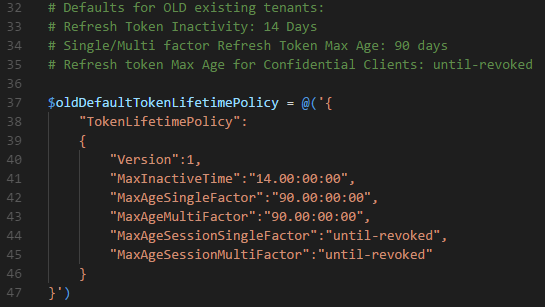 I have created access token first with default expiration as 1hour. but i think it doesn’t affect the refresh token life time. Refresh token also getting expired in 1 hour. Apart from this should i want to do anything further ? Will it update the life time of token belongs to Active directory which i login ? How to ensure whether updated life time has been updated for particular token ? Please provide me step by step process . Until-revoked also will last only for 365 days ?t3Hq^[5. This is a great article Jan. Thanks. 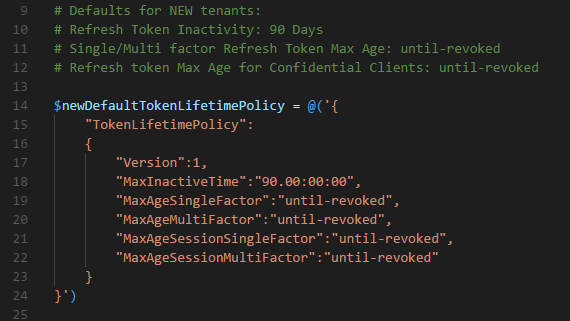 Do you know if it’s possible to view what the token lifetime policies are within existing policies? The get-AzureADPolicy merely lists the policies but not the values. Is there a way we can do that? Thanks, Eric. I have added a couple of commands to the above linked gist now, for how to list existing settings. How can we test/ confirm this configuration is working in our application ?